Spring seems different now…now that I’m in the fall of my life. Or am I in the winter of my life? That seems so bleak. I don’t think I’ve heard any lyrics about being in the winter of our lives – must be song writers know it would be a tough sell. I remember other springs – when my body wakened with new energy. There was excitement in hanging freshly washed diapers on that early spring clothes line. I knew my babies would be healthier when pinned into outdoors dried diapers.They smelled so clean and fresh. Spring was a time when I eagerly washed the windows and put in screens. I can remember clearly the joy of the fresh spring scent carried through the window on a cool breeze, pushing out the staleness of a long winter. But spring is different now that I am knowing it through an aged body. I feel gentleness when looking into the woods as undergrowth starts to sprout new green leaves. Not having a lot of energy seems to be my normal now – although I sometimes slip into pretending that I have that ability to work hard and long. 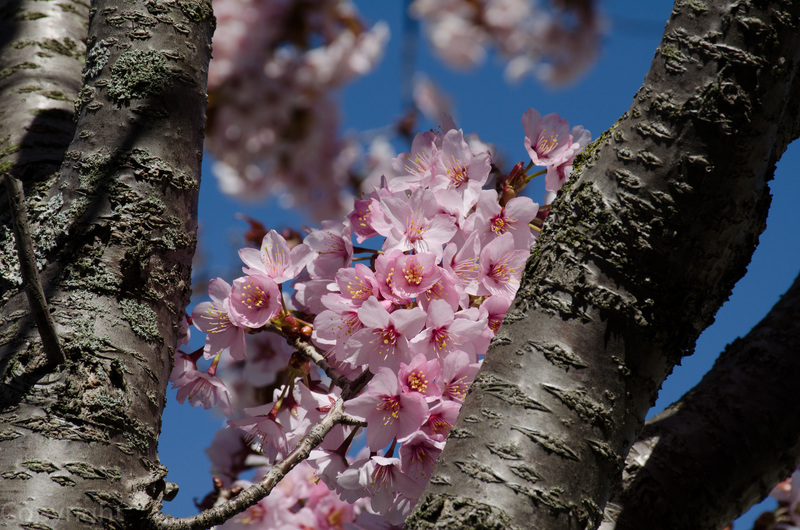 Spring has reminded me that life has changed; is gently teaching me a new excitement – of the spirit instead of the body. I still get excited when I smell spring and see those first signs but I’m learning how to enjoy it more slowly, with contemplation instead of work. I probably always enjoyed the beauty of a northern spring, but now I seem to know the beauty and that brings me a different kind of joy. It is now like going down a road I’ve been down before and smiling because of the familiar. The earth has become an old friend that I cherish and look forward to seeing again and again. I take pleasure in the familiar, like seeing Trillium growing in the woods. The excitement comes when I see something that is unique to my experience, like a stand of Dutchman’s Breeches. 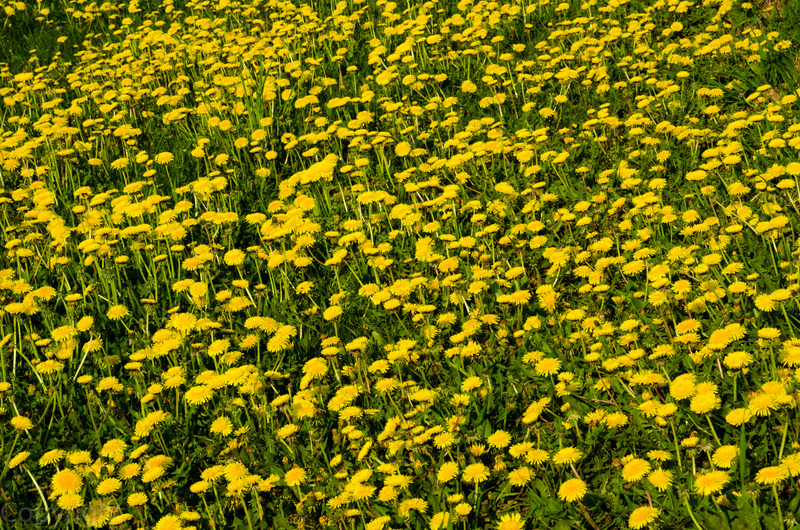 Or an especially dense bed of dandelions. Now that is an overload of spring! Beautifully expressed! I am surely in the winter of my life, but some days there is still a spring in my step. I like the more contemplative moods I have now – I take time see and admire small everyday miracles. Thank you for showing me your northern spring. I still have snow in my yard, so nothing is blooming. 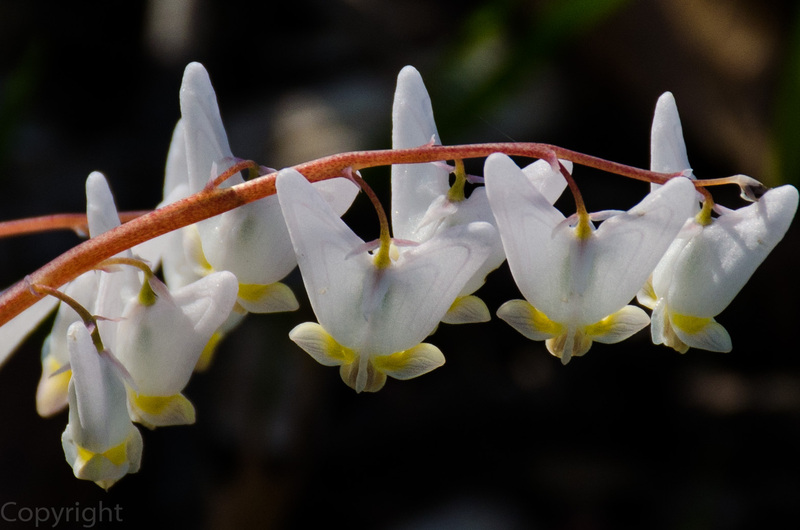 Those Dutchman’s Breeches are wonderful! Hi Barb, it is so nice to hear that you understand what I am experiencing. I especially like the spring in your step. Beautiful post. I enjoyed your words and pictures. Thanks, Dawn. Your spring must be just a week or so further along than here. 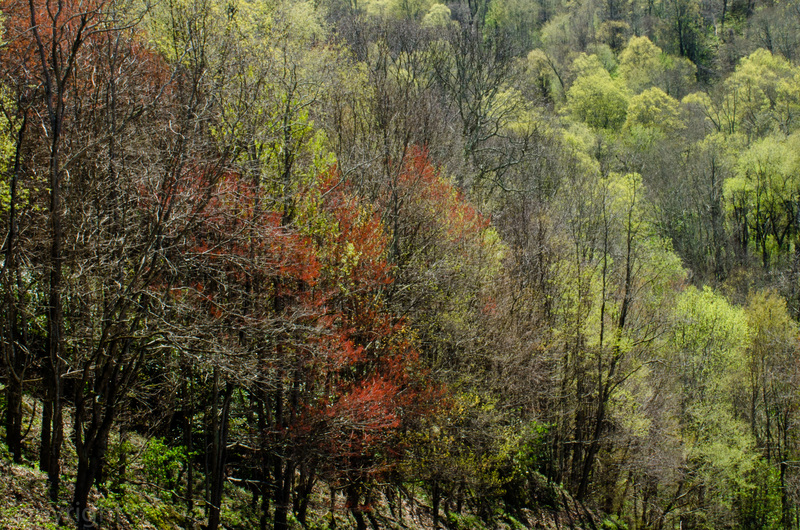 Some of the photos were taken 3 weeks ago in the Smokey Mountain National Park area. The Smokey’s are on my list! Yes – a beautiful song that I relate to. So happy you enjoyed this post, Charles. I bet you weren’t taking these incredible photos ‘back then.’ You now have an eye that you didn’t have then, just guessing. That’s the beauty of where you are right now and I’m glad of it. It’s a gift. Nice thought to start my morning. Thanks, aj. Yes, Sue, I am finding it much easier to appreciate the smaller details now that I have to slow down. 🙂 I frequently just stop and look. Yes it does. Except I have stopped growing roses because I got tired of feeding beetles. A beautiful post, Pat. I appreciated your thoughtful words as well as the stunning photos. 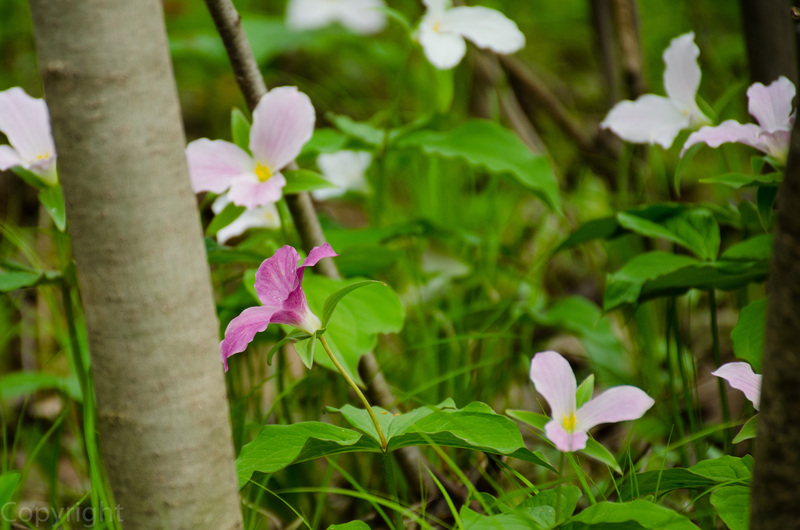 The sight of a carpet of trilliums in the woods does wonders! While you can still see these sights and photograph them so beautifully your winter will be a gentle one. What a wonderful thought to go to sleep with. Thanks! What is the link to your business blog? I have neighbors who will be spending a few days in London and I would like to give it to them. Your thoughts seem a mirror for my own. I have really noticed my changing perspective this year. Your images and words have great depth and resonance, as always. Lovely! thanks, Michael. l’m so happy you had a good time in Italy. I had never seen so many in one place before. Just had to stop. Thanks for the visit.